Nearly all of our products are made in the USA. Our fabrics conform to the widely accepted Oeko-Tex, Standard 100. This highly demanding testing process was developed as a standardized certification for textiles. 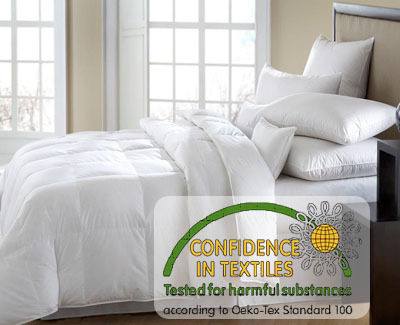 All of our Down products have the Oeko-Tex 100-Confidence in Textiles label and are certified to be virtually free of all harmful chemicals.